Fall is in full swing, which means that no one can get enough of all things pumpkin flavored. 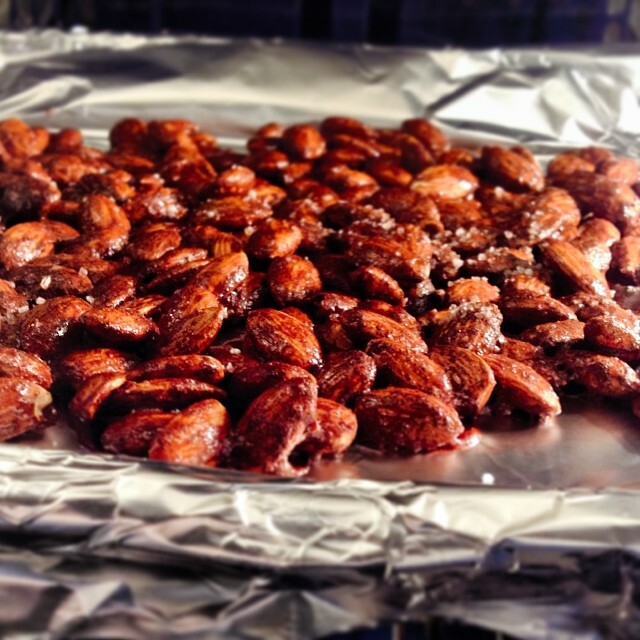 While on Pinterest, I stumbled upon this super easy recipe for pumpkin pie almonds from Knead to Cook Blog. If you are a nut fan, this is the perfect fall recipe for you. Check it out below! Preheat the oven to 325 degrees. Line a cookie sheet with parchment or foil. Into a bowl place your almonds. Then add cinnamon, spice, agave or honey and vanilla. Toss to coat each nut. Spread the nuts evenly on the cookie sheet. Sprinkle with sea salt. Bake for 18-20 minutes. Let cool and serve.